At the range I practice at, there is a rule that all bullets must be plated or jacketed. Copper washed are ok with them and I got them to approve the browning bpr bullet that notes "black oxide coating". But I suspect that many standard velocity bullets are black due to some type of coating. Few 22 bullets are silvery lead, most are black and some are very shiny black. Does anyone know if these are actually coated? I'd really like to use standard velocity in the practice range. CCI coats their std velocity stuff with something they call "black lead". It is not a "plating" but more of a coating to differentiate it from their plated .22 bullets. The bullet manufacture part on the video below starts around minute number 7. They also coat the bullet with a wax (around minute 5) in the final stage of production just before packaging. That "plating" you see on some .22 ammo is not plating, but a thin copper wash. Once fired, the rifling removes much of the copper wash as it acts somewhat as a lubricant. Berry makes some plated bullets that is thicker than the wash, thick enough that the rifling in center fire pistols generally do not cut through to the lead. I tested some of their plated bullets in .38 and .45 several years back and they would not group as well as the equivalent jacketed bullets. If'n it was me I'd find me a different range! This might work. I wonder why they don't have a list of approved ammo. I also never heard about worrying if the .22 was plated. Every range is different I suppose. Allen Barnett wrote: If'n it was me I'd find me a different range! Yep, me too. I shot at a club a few years back that shut down a shotgun range because of one person's complaint. At the same club the range committee was constantly messing with the range rules to the point that you didn't know the rules from month to month. At one point they changed the rules such that law enforcement members could not shoot because the rules prohibited holstered guns at the range. Yeah I know what you mean about the rules stuff. Last year I went to a match where you had to enter a code to get through the gate. Well the code would not work! As regular members came up they would go through the gate but would not let me in because of club rules. Hell of a way to treat a guest that has driven 3 plus hours to get there and they knew you were coming. Had to wait almost an hour before someone from the match staff finally came up to let me through and I got there just as the 3 minute prep period began. Needless to say I have not been back and don't plan on going back. The match director and I had a long discussion before I left. Unfortunately this range is the only one within reasonable distance. It's a nice place with target returns so I don't have to worry about going down range in front of shooters with questionable experience. I think prohibiting 22 lead is not effective since the copper wash is not thick enough to keep lead from being exposed, but it's not my rules. 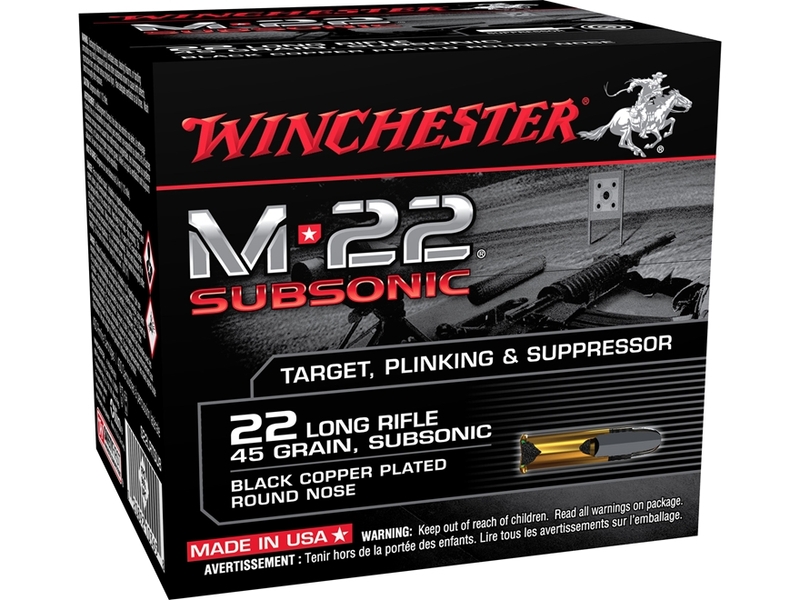 I'll try some of the m-22 if i can find it. Lightfoot wrote: Unfortunately this range is the only one within reasonable distance. It's a nice place with target returns so I don't have to worry about going down range in front of shooters with questionable experience. I think prohibiting 22 lead is not effective since the copper wash is not thick enough to keep lead from being exposed, but it's not my rules. I'll try some of the m-22 if i can find it. Not too bad if you just want to buy a box or two to see how it does, but I wouldn't want to pay that much for my regular practice ammo. But then again, if it's the only range around, I suppose I'd rather pay that than not shoot at all. People pay $12+ per box of 50 for ammo in other calibers all the time.